The leader of Chile's Catholic hierarchy has called for a "drastic solution" that could include bishops' resignations a day after Pope Francis acknowledged "grave mistakes" in his handling of a sexual abuse crisis. At a landmark meeting of the church leadership in Chile, whose members the pope has summoned to Rome to discuss the scandal, the president of the country's episcopal conference said change was inevitable. "It's possible that the pope will ask some (bishops) to leave their dioceses ... there must be a drastic solution, strong and decisive, that is for certain," Archbishop Santiago Silva told local radio station Cooperativa. Yesterday, Irish clerical abuse survivor, Marie Collins, called on Pope Francis to call Chilean bishops to account. In an extraordinary step, Pope Francis said in a letter published yesterday that he had made mistakes in his assessment of the crisis and that he had been misled, a strong indication that he may believe that some of the country's church leaders had misinformed him. In January, he had dismissed as "slander" accusations that Chilean bishop Juan Barros had covered up sexual abuse of minors by his mentor Father Fernando Karadima. Dr Barros told Chilean media covering the bishops' meeting that "the pope always seeks the best for everyone." He was controversially appointed bishop of the southern diocese of Osorno by Pope Francis in 2015. In doing so, the pontiff - who hails from neighbouring Argentina - overrode protests by many of Fr Karadima's victims and by large numbers of Chile's Catholic clergy and laity. Yesterday the pope invited campaigning survivors of Fr Karadima who he had wrongly accused of calumny, to meet him in the Vatican to receive his apology. Catholics in Osorno said that specific measures, including the resignation of Dr Barros, were also needed to restore confidence in the Church. The pope's letter followed a visit to Chile by one of the Vatican's most experienced sexual abuse investigators, Archbishop Charles Scicluna. 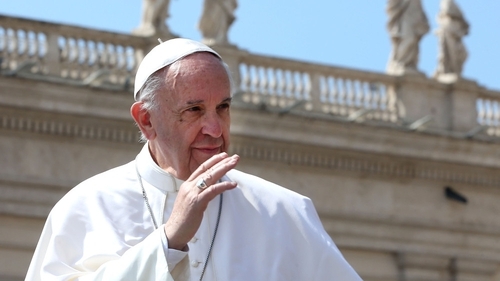 His 2,300 page report prompted the pontiff to summon Chile's bishops to Rome for a meeting. He did not say when it would take place. "We will meet with the pope and we will propose to him a plan of renovation for the Church," Archbishop Silva said.